Bass player Pär Sundström said: "Over the past few years we've been traveling around the world to perform, while expanding SABATON's empire into new countries and meeting incredible new fans along the way. There's no place like home though, and it’s humbling to know that people in our native Sweden are still so amazingly supportive of us after all these years. 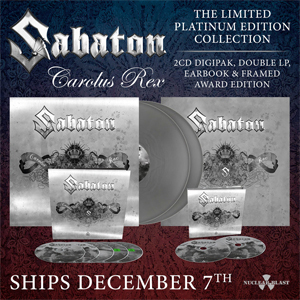 Thank you to everyone who played a role in making Carolus Rex one of the most successful Swedish rock albums ever!" 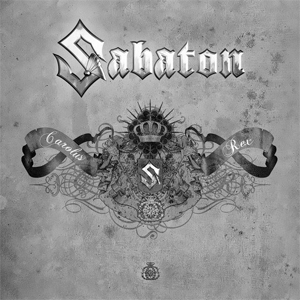 To celebrate the album's success, and to commemorate the Swedish king who inspired it, SABATON will release a special 300th year anniversary edition of Carolus Rex on November 30th, 2018, which is the date Carolus Rex was killed in Norway. Check out a trailer about this upcoming edition below. "The Price Of A Mile"